An excellent -at least in my eyes- presentation by Simon Peyton Jones from Microsoft Research, Cambridge. He discusses "How to write a great research paper". I believe it has essential information for any PhD student. "How to write a world class paper",a presentation by Prof. Robert Allen. Editor-in-Chief: Biomedical Signal Processing & Control, Elsevier. pdf. "Some Hints to Improve Writing of Technical Papers", pdf. Good advices from Prof. Hany Farid regarding etiquettes in giving talks: Click here. Are you into papers' reviewing? If the answer is "Y" then this is for you: Click here. Thesis' repository: Click here <== Related to signal processing. Steganography is the science that involves communicating secret data in an appropriate multimedia carrier, e.g., image, audio and video files. It comes under the assumption that if the feature is visible, the point of attack is evident, thus the goal here is always to conceal the very existence of the embedded data. It does not replace cryptography but rather boosts the security using its obscurity features. Steganography has various useful applications. However, like any other science it can be used for ill intentions. It has been propelled to the forefront of current security techniques by the remarkable growth in computational power, the increase in security awareness, e.g., individuals, groups, agencies, government and through intellectual pursuit. Steganography�s ultimate objectives, which are undetectability, robustness, resistance to various image processing methods and compression, and capacity of the hidden data, are the main factors that separate it from related techniques such as watermarking and cryptography. This Ph.D work investigates current state-of-the-art methods and provides a new and efficient approach to digital image steganography, it also establishes a robust steganographic system called Steganoflage. 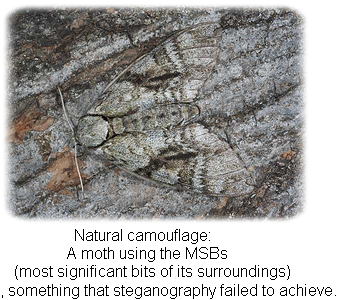 Steganoflage advocates for an object-oriented approach in which skin-tone detected areas are selected for embedding where possible. The key objectives of this thesis are: 1) a new image encryption method tailored to digital images and steganography/watermarking, 2) a new, efficient and real-time skin-tone detection algorithm and 3) a new embedding method using the Reflected Binary Gray Code, RBGC, in the Wavelet domain. Each of these components is tested against relevant performance measurements. The results are promising and point to the coherence of the developed algorithm. A series of interesting applications are explored, i.e., combating digital forgery, multilayer security for patients� data storage and transmission and digital reconstruction of lost signals. Future work includes the integration of Steganoflage into some emerging technologies, such as iPhone and CCTV, which require further enhancements in relation to severe compression tolerance and real-time execution. 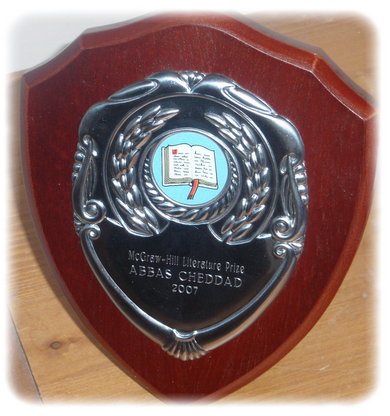 On the 16th of March 2010, I was awarded the best PhD thesis in the Faculty of Computing and Engineering for 2009. 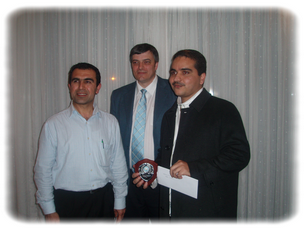 On the 3rd of April 2008, I was selected for the Research Graduate School's award. head of Graduate Research School. Best paper award session at the 8th International Conference on Information Technology and Telecommunication IT&T 2008. Award given by IET (the Institution of Engineering and Technology). I have been awarded a place in the UK Science week competition for Britain's Top Younger Scientists, Engineers and Technologists.The event was held at the House of Commons in London, 09-March-2009. Out of 600 applicants, only 180 were successful to present their research in the form of a poster at the House of Commons, of which 60 posters belonged to engineering category. My poster was titled: "Multilayer Secure Data Protection using Steganography". Photos. Abbas Cheddad, (2009), "Digital Image Steganography: Concepts, Algorithms and Applications". Publisher: VDM Verlag Dr. M�ller (Germany), ISBN-13: 978-3639214567. Abbas Cheddad, J. Condell, K. Curran & P. Mc Kevitt. "Advances in Digital Image Steganography: State of the Art, Counterattacks and Security Applications". Accepted, Handbook of Research on Threat Management and Information Security: Models for Countering Attacks, Breaches and Intrusions. Publishers: IGI Global Hershey, Pennsylvania 17033, USA. 1) United Kingdom Patent Application No. 0819982.0 �Method for Skin Tone Detection� UNIVERSITY OF ULSTER. 2) United Kingdom Patent Application No. 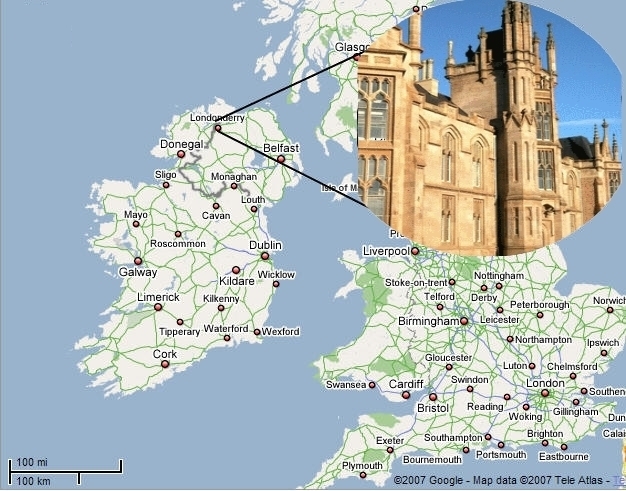 0819976.2 �An Encryption Method� UNIVERSITY OF ULSTER. A. Cheddad, J. Condell, K. Curran and P. Mc Kevitt, "A secure and improved self-embedding algorithm to combat digital document forgery," Signal Processing 89 (12)(2009)2324-2332. Elsevier, the Netherlands. Get the pre-print pdf here. A. Cheddad , J. Condell, K. Curran and P. Mc Kevitt, "A Skin Tone Detection Algorithm for an Adaptive Approach to Steganography," Signal Processing 89 (12)(2009) 2465-2478, Elsevier Science. Get the pre-print pdf here || Download Suzie sequence || Please contact me to download the ground truth for Suzie.avi sequence. A. Cheddad , J. Condell, K. Curran and P. Mc Kevitt, "Digital Image Steganography: Survey and Analysis of Current Methods," Signal Processing 90(3)(2010) 727-752. Get a pre-print pdf here. A. Cheddad , J. Condell, K. Curran and P. Mc Kevitt, "A Hash-based Image Encryption Algorithm," Optics Communications, 283(6)(2010)879-893. Elsevier Science. Get a pre-print pdf here. A. Cheddad , J. Condell, K. Curran and P. Mc Kevitt, "Information hiding-enabled data transmission framework," International Journal of Information Studies 1(3)(2009)159-164. Abbas Cheddad, Joan Condell, Kevin Curran, Paul Mc Kevitt. "A Comparative Analysis of Steganographic Tools". Proceedings of the Seventh IT&T Conference. Institute of Technology Blanchardstown, Dublin, Ireland. 25th- 26th October 2007. pp 29-37. A Cheddad, J. Condell, K. Curran & P. Mc Kevitt. "An Adaptive Approach to Steganography". IEEE SMC UK&RI 6th Conference on Cybernetic Systems 2007 September 6-7, University College Dublin, Republic of Ireland. pp 11-16. A Cheddad, J. Condell, K. Curran & P. Mc Kevitt. "Biometric Inspired Digital Image Steganography". In the proceedings of the 15th Annual IEEE International Conference and Workshops on the Engineering of Computer-Based Systems (ECBS'08). pp. 159-168. I obtained travel grant from LERO (The Irish Software Engineering Research Centre), Ireland. A Cheddad, J. Condell, K. Curran & P. Mc Kevitt. "Enhancing Steganography in Digital Images". Proceedings of the Fifth Canadian Conference on Computer and Robot Vision. Windsor, Ontario, 28-30 May 2008. pp. 326-332. A Cheddad, J. Condell, K. Curran & P. Mc Kevitt. �Skin Tone Based Steganography in Video Files Exploiting the YCbCr Colour Space�. Proc of the 2008 IEEE International Conference on Multimedia and Expo, Hannover, Germany. pp.905-909. June 23-26, 2008. Curran, K. Condell, J., Cheddad, A., Mc Creadie, K. and Maguire, L.M. (2009). "Issues of Privacy & Surveillance". To appear in the proceedings of the 5th International Conference on Technology, Knowledge and Society. 30-Jan to 1-Feb 2009. Huntsville, Alabama, USA. A. Cheddad, J. Condell, K. Curran and P. Mc Kevitt. (2008). Securing Information Content using New Encryption Method and Steganography, In: Proceedings of the 3rd IEEE International Conference on Digital Information Management, University of East London. UK. pp: 563-568. A. Cheddad, J. Condell, K. Curran and P. Mc Kevitt. (2008). Combating Digital Document Forgery using New Secure Information Hiding Algorithm, In: proceedings of the 3rd IEEE International Conference on Digital Information Management, University of East London. UK. pp: 922-924. A. Cheddad, J. Condell, K. Curran and P. Mc Kevitt. On Points Geometry for Fast Digital Image Segmentation. The 8th International Conference on Information Technology and Telecommunication IT&T 2008, Galway Mayo Institute of Technology, Galway, Ireland 23rd � 24th October 2008, pp: 54-61. Best paper award. Award given by IET (The Institution of Engineering and Technology). Download the slides. A. Cheddad, J. Condell, K. Curran and P. Mc Kevitt. 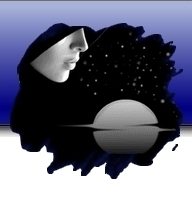 �Steganoflage� - A Novel Approach to Image Steganography. The 8th International Conference on Information Technology and Telecommunication IT&T 2008, Doctoral Symposium, Galway Mayo Institute of Technology, Galway, Ireland 23rd � 24th October 2008, pp:191-194. A. Cheddad, Condell, J.V., Curran, K.J., McKevitt, P. (2009) A New Digital Image Security Strategy: Steganoflage. Accepted for 15th International Symposium on Electronic Art (ISEA 2009), 23rd August - 1st September 2009, Belfast, Northern Ireland, 2009. A. Cheddad, Condell, J.V., Curran, K.J., McKevitt, P., "Data Hiding Tools for Digital Forensic Experts," In: Proceedings of Digital Forensics, Security and Law, May 20-22, 2009, Burlington, Vermont, USA, pp. 111-113, ISSN:1931-7379, ADFSL (Association of Digital Forensics, Security and Law). A. Cheddad,, Condell, J.V., Curran, K.J., McKevitt, P., �A New Colour Space for Skin Tone Detection�. Accepted for IEEE International Conference on Image Processing, ICIP 2009. IEEE Signal Processing Society. Cairo, Egypt. Get a pre-print here. A. Cheddad,, Condell, J.V., Curran, K.J., McKevitt, P., �Towards Objectifying Information Hiding�. Accepted, IEEE The 35th International Conference on Acoustics, Speech, and Signal Processing (ICASSP 2010). IEEE Signal Processing Society. March 14-19, 2010. Dallas, Texas, USA, pp: 1770-1773. Get a pre-print here. * Ref: PoP 08/186 (University of Ulster-Innovation center): Start: 17th December 2008. End: 31st July 2009, title: Identity Cards Employing Steganography, Award: �7,430. * Proof of Concept Programme (Invest NI & European Regional Development Fund): Start: October 2009. End: October 2010, title: Secure Digital Watermarks (SDW): Secure Data Hiding in Image Frames using Steganography, Award: �77074.20. October-15-2008: A talk was given to the school of Computing and Intelligent Systems� members at the University of Ulster. The talk lasts for one hour and concentrated on the progress so far of my PhD work. The Seminar�s talk was titled: �STEGANOFLAGE: A Novel Approach to Image Steganography�. Click here.